Enjoy the best inspirational, motivational, positive, funny and famous quotes by Adrian Davis. Use words and picture quotations to push forward and inspire you keep going in life! 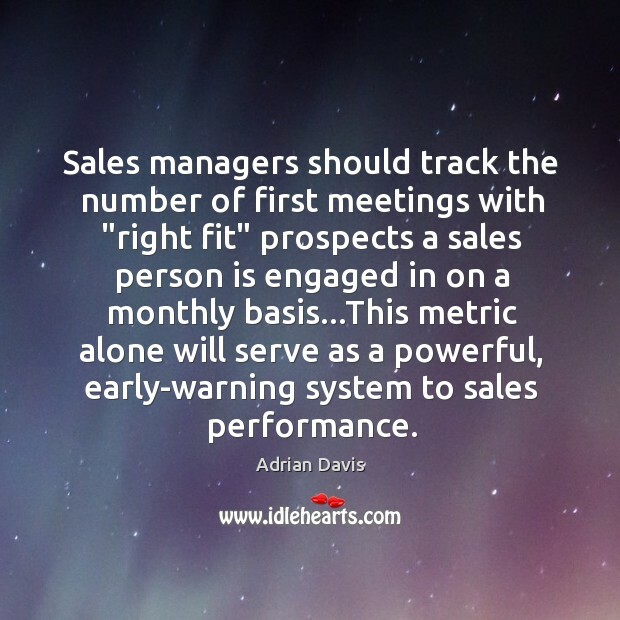 Sales managers should track the number of first meetings with "right fit" prospects a sales person is engaged in on a monthly basis...This metric alone will serve as a powerful, early-warning system to sales performance.